Gracie Jiu-Jitsu is a martial art initially made famous in the United States by Royce Gracie in the first Ultimate Fighting Championship (UFC). Royce won three out of the first four UFCs utilizing groundfighting techniques perfected by his family back in Brazil. Judo and the combat art of Jiu-Jitsu were introduced to the Gracie family in Brazil around 1914 by Esai Maeda, who was also known as Conde Koma. 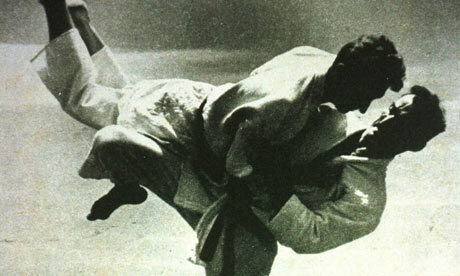 Maeda was a champion of Jiu-Jitsu and a direct student of Kano (the founder of Judo), at the Kodokan in Japan. 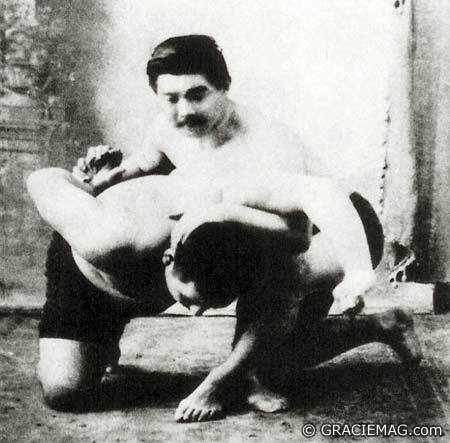 He was born in 1878, and became a student of Judo in 1897. In the early 20th century, thousands of Japanese were immigrating to Brazil. In 1914, Maeda was given the opportunity to travel to Brazil as part of a large Japanese immigration colony. In the northern state of Para in Brazil, he befriended Gastão Gracie, an influential businessman. Gastão helped Maeda get established and to show his gratitude, Maeda offered to teach traditional Japanese Jiu-Jitsu to Gastão’s oldest son, Carlos Gracie. Carlos learned for a few years and eventually passed his knowledge to his brothers. 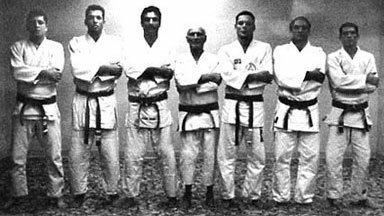 Helio Gracie, the youngest son of Gastão and Cesalina Gracie’s eight children (three were girls), was always a very physically frail child. He would run up a flight of stairs and have fainting spells, and no one could figure out why. At age fourteen, he moved in with his older brothers who lived and taught Jiu-Jitsu in a house in Botafogo, a borough of Rio de Janeiro. Following doctor’s recommendations, Helio would spend the next few years limited to only watching his brothers teach. One day, when Helio was 16 years old, a student showed up for class when Carlos was not around. Helio, who had memorized all the techniques from watching his brothers teach, offered to start the class. When the class was over, Carlos showed up and apologized for his delay. The student answered, “No problem. I enjoyed the class with Helio very much and, if you don’t mind, I’d like to continue learning from him.” Carlos agreed, and Helio became an instructor.